MEET US IN MAGICAL MARFA! Join us for our 4th annual yoga retreat to the artful desert oasis of Marfa, TX. Trade your regular routine for a long weekend away to unwind and explore this tiny town full of BIG magic! 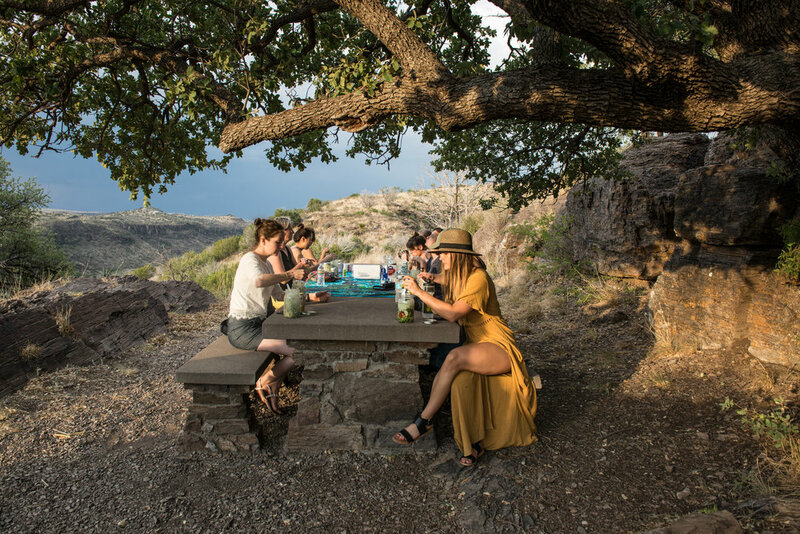 Prepare to soak in the mystery and marvel of Marfa with a mindfully-curated experience at our Marfa Yoga Retreat, led by Mobile Om founder Cassandra Fauss and manager Rainbow Chilton. The weekend will showcase our love for this truly unique place with daily yoga and meditation classes, two delicious & nutritious locally sourced meals each day, a trip to Balhmorhea Springs Pool, a tour of downtown Marfa, seeing the Marfa lights, a photo op at Prada Marfa, and so much more! The Safari Tents are each 120 square feet with wood floors and durable canvas walls and doors. Each chic tent comes equipped with a queen bed, a chair, simple lighting and an electrical outlet for charging devices. Linens and towels provided for use at the adjacent bath house. 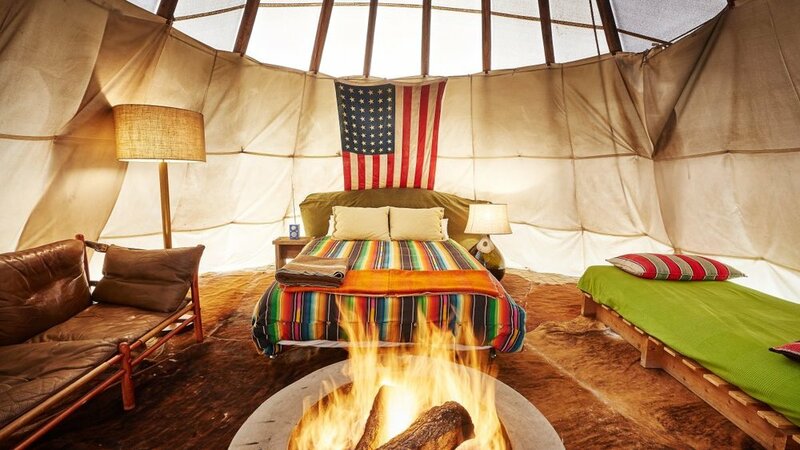 Each of 22 foot in diameter glamping tepees have brick floors with a queen bed, love seat and small daybed as well as lighting and an electrical outlet for charging devices. Linens and towels provided for use at the nearby bath house. The vintage RV trailers from the heyday of nomadic recreation have been restored with marine-varnished birch interiors, furnishings collected from around the world and amenities for a comfortable camp experience. Each trailer has a unique combination of cooking, dining, sleeping, bathing and recreational features and comes equipped with AC and heater, refrigeration, basic cooking supplies and a radio with wireless iPod connectivity. Bring your own tent for the most cost effective way to join our retreat festivities! Includes access to all retreat activities, yoga classes, excursions, meals and El Cosmico communal spaces and bath house. *$300 Non-Refundable Deposit Due at Registration. *Contact El Cosmico directly to book your accommodations.